The roof replacement project of your Dexter, Michigan, area home will be a streamlined and successful process with Roofman at your side. We’ve replaced roofs for countless happy customers in the area, and we have the knowledge and expertise to replace your roof — no matter how old and damaged it has become — with our proprietary Roofman roof. Our roofs are also customizable and have a variety of beautiful shingle colors available, so you can look forward to having a new roof that matches your Dexter, MI, area home’s color scheme and improves its curb appeal. Paying for your new Roofman roof replacement will be easy, as we’ll provide you with a competitive and guaranteed price quote after completing an inspection of your roof. You also won’t be expected to provide any money down. After we inspect your roof, a team of our very own trained and experienced professionals will complete the roof replacement in a single day. We never use subcontractors. And we’ll be available after installation to service your roof should you need assistance because your Roofman roof will come backed by a lifetime labor and materials warranty. If you would like Roofman to complete the roof replacement project of your residence in or around Dexter, MI, call us today to schedule a consultation. 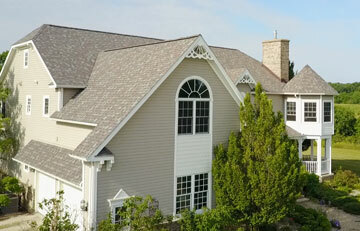 We also have financing options available for qualified homeowners that may make purchasing a new roof easier.